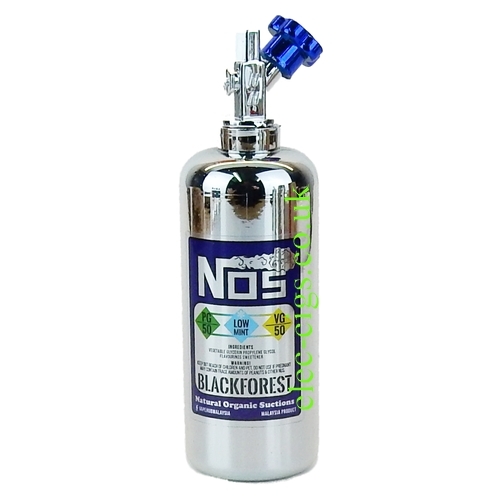 Blackforest Low Mint E-juice from NOS is a fabulous blend of dark forest fruits with a 'hint of mint' running all the way through it. Blackforest Low Mint E-juice from NOS is a 60 ML, 50-50 (VG/PG) mix, 'Zero Nicotine' E-Juice from the leading Malaysian manufacturer of e-liquids. It is dispatched in a novelty box and bottle. 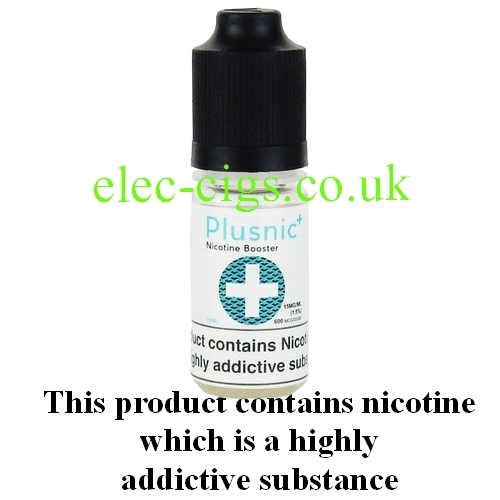 If you purchase it with the optional 10 ML ' Nicotine Booster Shot' with 18 mg (1.8%) nicotine content it will give you a liquid with approximately 2.5% nicotine content and with 2, a nicotine content of approximately 5%. Please note that the brand of the 'Nicotine Shot' may vary from the one illustrated but will be one of an equivalent quality and strength. 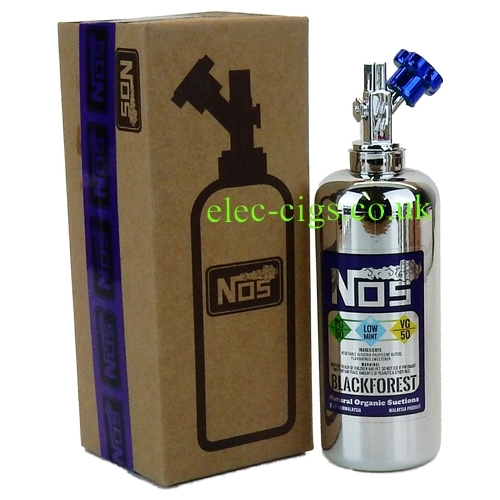 Blackforest Low Mint E-juice from NOS is for sale to adults only (persons aged 18 years or older and if purchased with the nicotine shots then this product contains nicotine which is a highly addictive substance.